This year, Information Summit 2018 will hear from experts and people intimately involved in how the world of information is changing. FIPA is pleased to bring you a variety of perspectives on the strategies being developed to meet these new challenges, and where we can expect to be in the not too distant future. 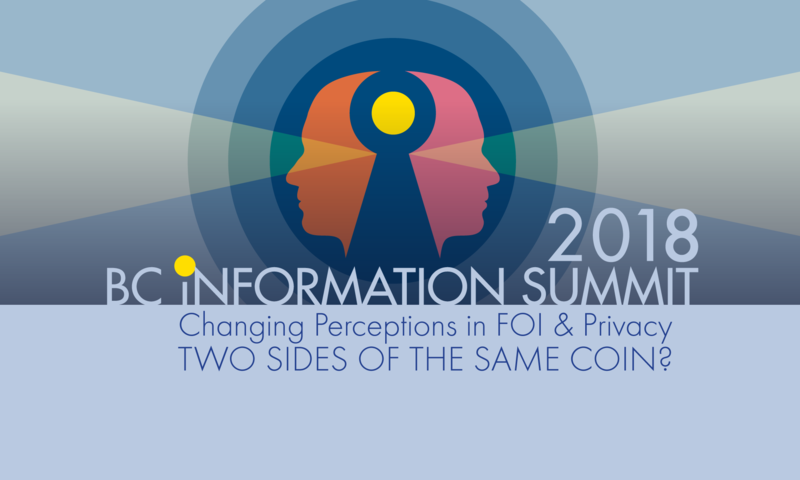 This is a recurring theme at our Information Summits that is updated annually to reflect the state of the ATI/FOI field. This year, we expect to focus on the BC Government’s recent public engagement/consultation on FOI, and on the prospects for reforms to the FIPPA in the near future. We will also discuss the status of the stalled federal ATIA reform bill, and common challenges associated with provincial and federal ATI/FOI processes. This year, FIPA participated in many media engagements regarding the Facebook/Cambridge Analytica/AggregateIQ scandal. We expect to see the UK and Canadian (and BC) Privacy Commissioners release investigative reports on these issues in Fall 2018. At this year’s Summit, we will discuss some of the most pressing privacy rights issues related to the Cambridge Analytica affair, with a specific emphasis on the collection, storage, and use of personal information by federal and provincial political parties. This is a timely and important panel. Panel 3: Whistleblower Laws: How does PIDA Stack Up? At last year’s Information Summit, we focused on the need for BC legislation on whistleblowing and the prospects for reform in the near future. This past spring, the BC Government introduced the Public Interest Disclosure Act, and the Act has now passed into law. This is our first comprehensive provincial whistleblowing framework. This year’s Information Summit will afford us an opportunity to reflect on the content of the PIDA, to discuss its implementation, and to raise any shortcomings or areas for reform. This panel will also coincide with the publication of a FIPA research report on whistleblowing. Recently, efforts by journalists and researchers to obtain information about opioid-related overdoses and persons shot and killed (including by police) have been met with denials from government bodies on the grounds that releasing this information would contravene privacy rights. In some cases, information that was previously released by police departments or the BC Coroner is now being withheld in some cases (but not all), and the result is a patchwork and an uncertain policy environment. This panel will seek to clarify the underlying law and principles, and aim to provide some guidance regarding best practices.